Colours and surfaces are crucial when it comes to the effect of a product. They influence ones first impressions and have a lasting effect in terms of the product’s emotional aura. Nevertheless, selecting colours and surfaces is often considered less of a challenge than making construction or design decisions. The idea that all you need is some artistic intuition is widespread. The Dutch designer Hella Jongerius again and again successfully addresses the significance of colours and surfaces in contemporary design in her textiles and ceramic works and with her furniture pieces. 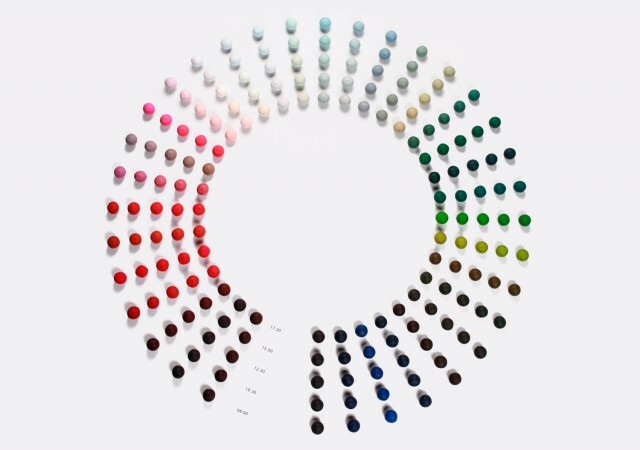 In numerous installations and objects, she has demonstrated how colours and colour combinations and their use on specific materials, surfaces and shapes can lead to spectacular results. Knowing the effect that colour has and the cultural meanings of colours is a foundation that is just as important to her as being familiar with production techniques and materials. Hella Jongerius’s many years of research has made her an expert in this area and will serve her well in her role as Art Director for Colours and Surfaces for the Vitra collection. The goal of the joint project is to create a Vitra colour and material scheme that is all its own, and which will serve to emphasise or refresh the special character of both the classic and contemporary designs in the collection. In cooperation with other designers who contribute to the Vitra collection, designer-specific colour and material libraries are also currently being created. Taken all together, the products and colour libraries result in a wide range of Vitra colours, which thanks to the classification scheme, make combining vibrant and expressive furnishing collages possible. Each product is given the greatest expressive power possible and yet blends in well with other pieces, creating an arrangement that is entirely natural looking and has a harmonious overall effect without forfeiting any it the product’s intensity. The use and exploration of color is strongly embedded in the practice of designer Hella Jongerius. Her project ‘color in changing daylight’ is an installation which documents the optical change in a clay ball’s colored appearance, between the hours of 8:00am and 17:30 on a day in late june 2011. Produced and documented in Berlin, the clay balls were made late march 2011, the temperatures of the basic colors each altered by mixing it with varying amounts of blue, yellow and red. Officially presented during Dutch Design Week 2011 at the Netherlands Architecture Institute (NAI) in Rotterdam, this project was on show as part of ‘Daringdesign’. The exhibition presented the work of eight designers, four living in China and four living in the Netherlands; the selected projects revealing a presentation of contrasts of those subsiding in these opposing worlds. The projects on show were these designers and architects’ responses to the contemporary developments of their countries. 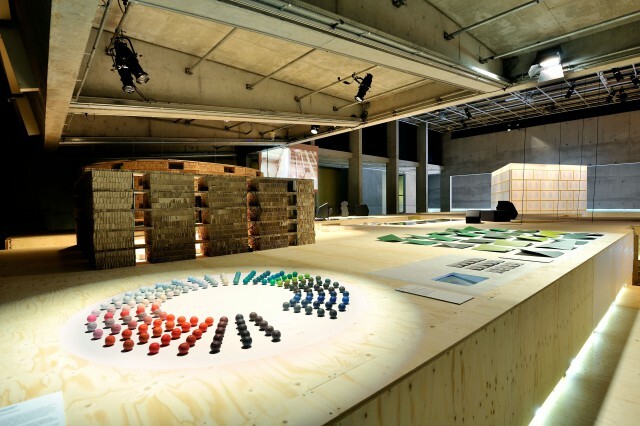 At the Milan Furniture Fair 2013, Vitra presented classic pieces from Charles and Ray Eames, Jean Prouvé and George Nelson, all showcasing elements of this new colour theory. 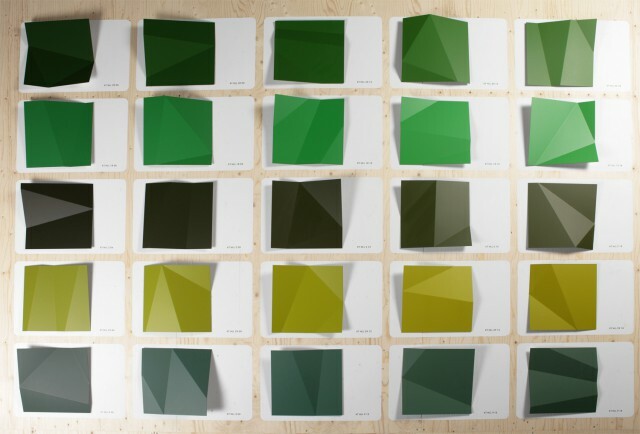 The colour schemes selected are in reference to the historical versions of the designs and to the colour concepts of the designers at that time, but they develop their look further in a contemporary way. The classical pieces in the Vitra portfolio therefore gain new energy and freshness without denying their roots.